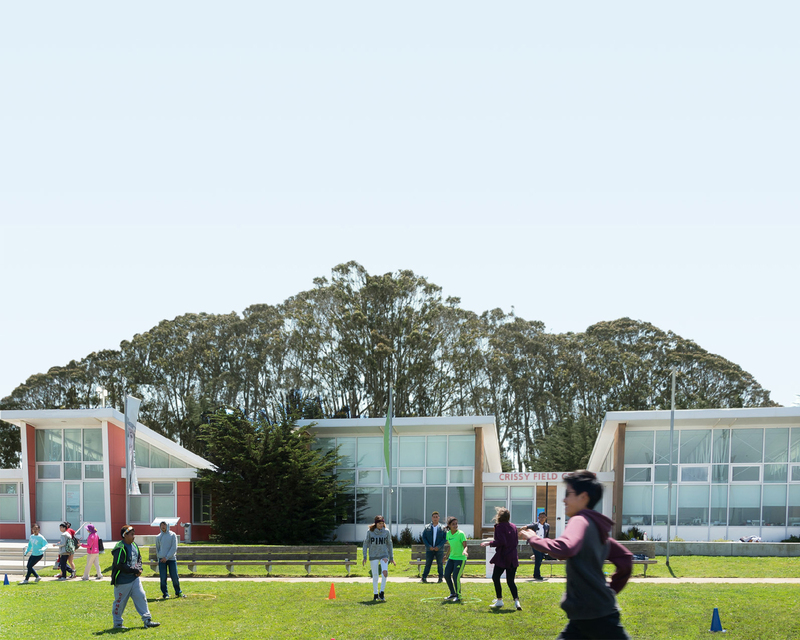 WHAT: One in a series of open houses organized by the Presidio Trust designed to gain public feedback and comments on each of the three proposals being considered for the transformation of the former Commissary site at Crissy Field, current home of Sports Basement. On Wednesday, July 31, the Golden Gate National Parks Conservancy will showcase its proposal for the Presidio Exchange (PX)—an open platform cultural center in this world-class location that will maintain the prime views of the Golden Gate Bridge, forge a new pedestrian link between the Presidio Main Post and the waterfront, and engage the public in a dynamic and ever-evolving series of public programs—from art installations to “hackathons”, film festivals to green tech expositions, dance performances to history lectures. WHO: The community is invited to meet the PX project team, learn more about the proposed building and programming, ask questions, and engage in one on one discussions about this remarkable site at Crissy Field as the Parks Conservancy develops its final proposal. WHEN: Wednesday, July 31, 2013. Presentations on the PX will be offered at three one-and-a-half-hour intervals throughout the day: 8:30-10:00 am, 11:30 am-1:00 pm, and 6:30-8:00 pm. WHERE: The Observation Post at The Presidio, 211 Lincoln Boulevard, San Francisco (Adjacent to the Post Office and Presidio Transit Center, on the north end of the Main Post). WHY: Three finalists have been invited to submit proposals to the Presidio Trust for transforming this important national park site: The Golden Gate National Parks Conservancy (Presidio Exchange); WRNS Studio/CHORA Group (The Bridge/Sustainability Institute); and George Lucas (Lucas Cultural Arts Museum). Final proposals are due to the Presidio Trust by September 16, 2013. For dates and information on each of the three Open Houses, please visit the Presidio Trust website at www.presidiotrust.gov. For more information on the Parks Conservancy and the Presidio Exchange, please visit www.parksconservancy.org.